MathKit's Learning System helps you build math skills and confidence. Play indoors or out. Build math skills while playing catch! Perfect for a rainy day. Solve math problems to stay out of the hot lava! 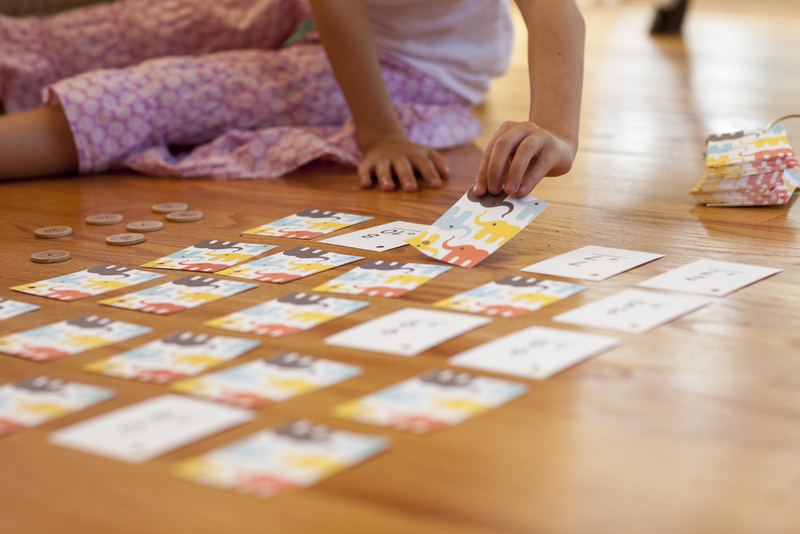 Eeek helps your child break numbers into parts, aka number bonds. Practice this thinking on every turn: 6 equals 1 + 5 or 2 + 4 or 3 + 3. Master pairs of numbers that add up to 10. Play this math variation on the traditional game. My tips help you maximize math learning. 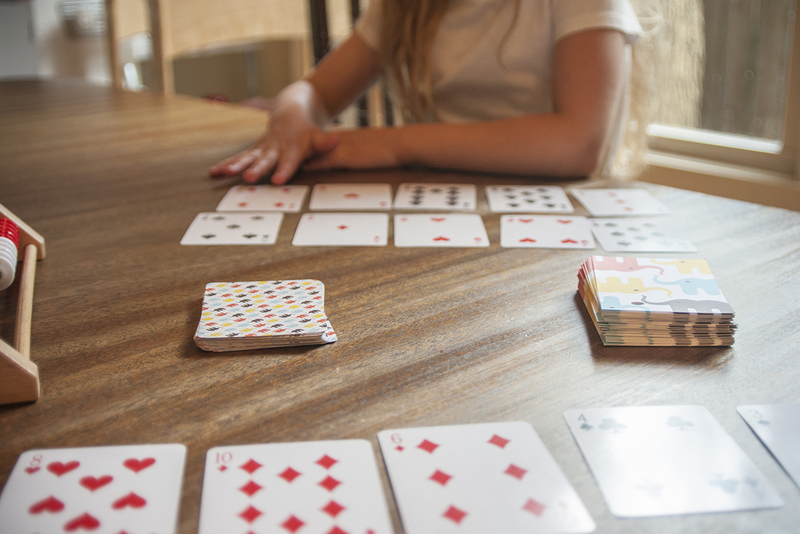 See patterns and connections while playing this familiar game with MathKit question cards. Toss the bean bag into your sidewalk chalk Bull's-Eye. 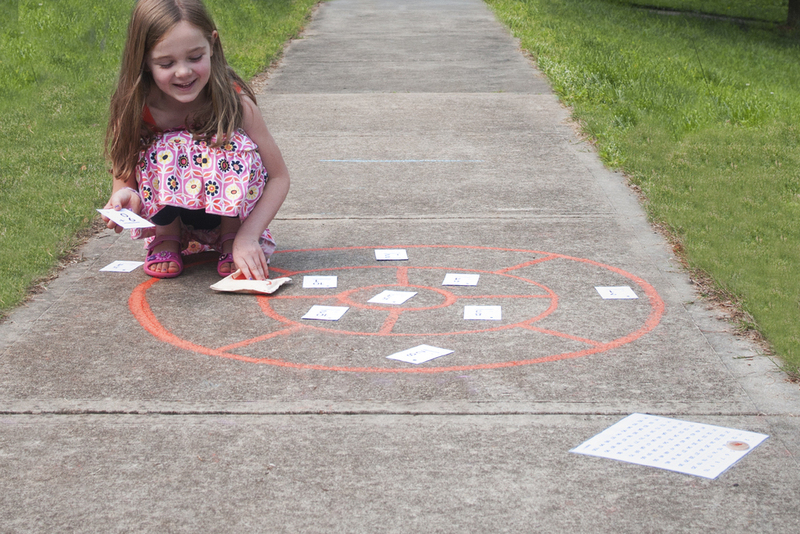 Build math skills while playing outside. Build strong number skills while playing this unique card game together. See patterns on the hundred chart as you play a simple racing game. Everyone loves a hunt! Play outside in the sun or inside on a rainy day. enjoy math learning at home. Research has shown that early math skills are a strong predictor of lasting academic success. Families cuddle up and read books together to build a love of reading. MathKit gives your family a way to cuddle up and have fun together while learning math. MathKit is perfect for kids in grades K-3. Click through the gallery to take a look at MathKit's 10 hands-on games. help your child believe in herself. MathKit follows evidence on helping kids stay out of the anxiety zone when it comes to math. MathKit shows parents how to build a math-learning mindset that will last a lifetime. This is particularly important based on what research has shown us about girls in STEM. Learn more about what makes MathKit so special. BUILD A STRONG FOUNDATION IN ADDITION AND SUBTRACTIOn. By playing MathKit games, you will help your child build number sense. MathKit includes a set of learning tools that help kids understand and visualize the math they are learning. The ToolKit guide teaches you how to aid learning in all 10 MathKit games. Click through the gallery to take a look at MathKit's learning tools. Or, learn more about the educational methods behind MathKit Learning.